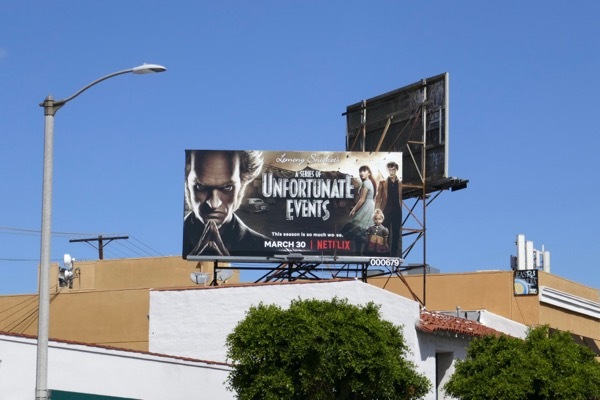 Fans of Lemony Snicket's wonderfully odd and gothic series will get an Easter treat this weekend with ten all-new episodes to binge on Netflix. 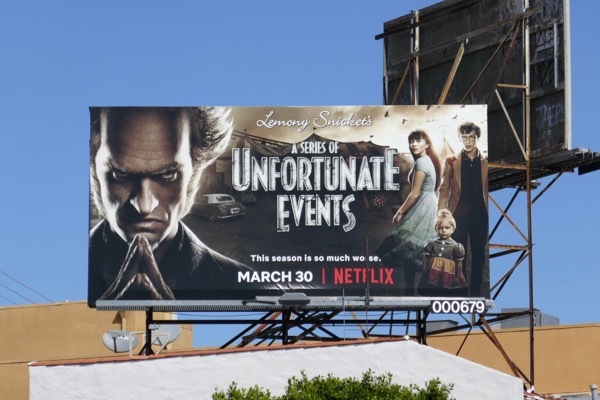 The streaming service promises a 'much worse' sophomore season as the 'Baudelaire' orphans face more trials and tribulations pit against their evil uncle 'Count Olaf' (played with enthusiasm by Neil Patrick Harris). 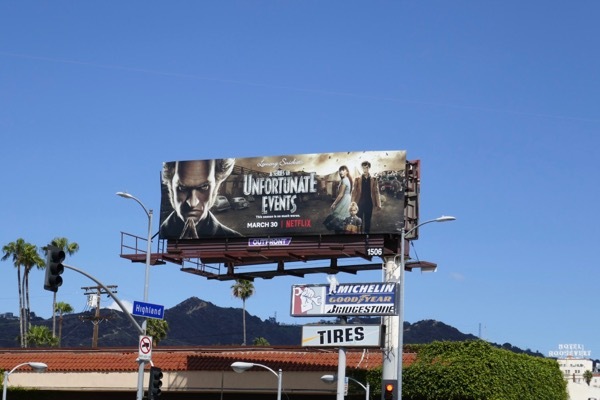 These second season billboards were snapped along Highland Avenue, La Brea Avenue and Pico Boulevard on March 25, 2018. 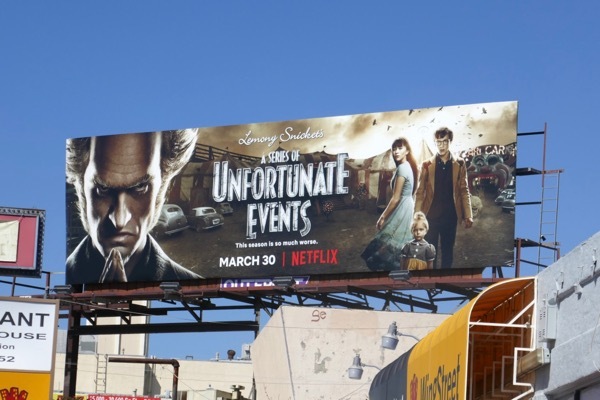 Fans of the Netflix adaptation can also enjoy these fun season one billboards for A Series of Unfortunate Events. Plus Neil Patrick Harris admirers can check out this Genius Junior billboard, these Best Time Ever billboards and these movie billboards for A Very Harold & Kumar Christmas. What new dark family secrets await 'Violet', 'Klaus' and 'Sunny' this season? 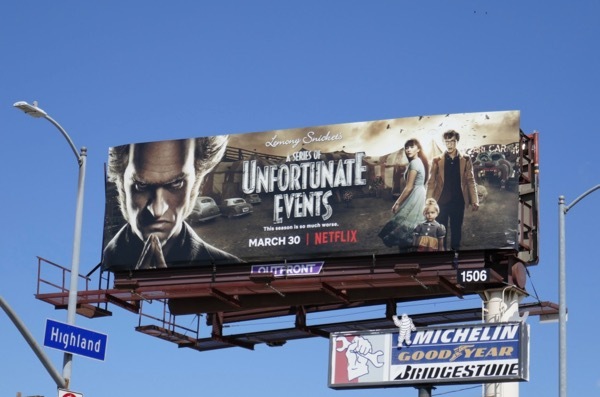 If you're a fan of the novels you may just have an inkling, but whatever his plans you can guarantee Count Olaf's schemes will be despicable. 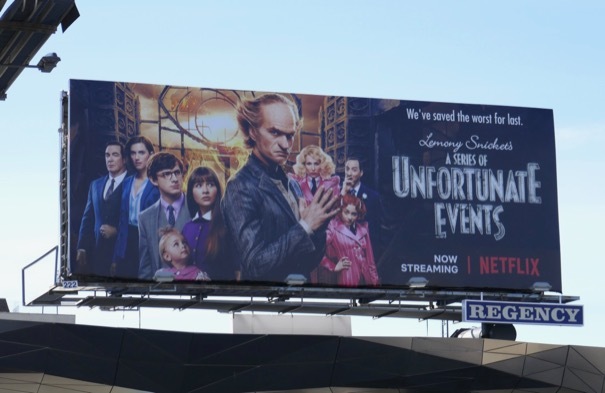 UPDATED: Here's also a billboard for the third and final season of the Netflix adaptation spotted along Olympic Boulevard on January 26, 2019. Plus fans of the show can check out these season two costumes from A Series of Unfortunate Events on display at L.A.'s FIDM Museum.